Curzon House Hotel i London, England: Reservér nu! Curzon House is located in the heart of the West End just a three minute walk from Gloucester Road tube station (Zone 1 - Piccadilly, Circle and District lines). 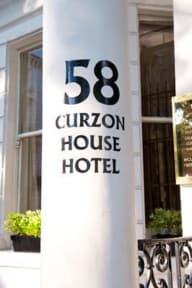 Situated across the road from a garden park , in a quiet and picturesque neighbourhood, Curzon House Hotel has long been a breath of fresh air for the tired traveller and a good place to make new friendships. Curzon House is renowned for the friendly relaxed atmosphere, and has a reputation as 'one of the best private hostels' as evidenced through the travel guides (Lonely Planet, Lets Go and Le Guide De Routard to name just a few). 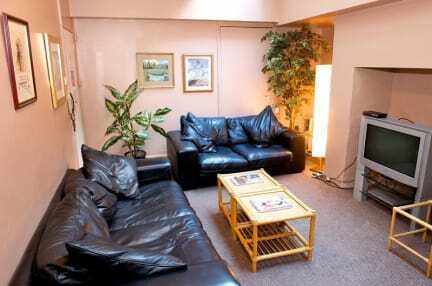 WI FI available all over the building.. Please note the reception desk is open 8:00am to 10:00pm and you must check in between 13:00pm and 10:00pm.